Michelle Downer, born and raised in Spanish Town is now known to the world as D Angel. Hailing from St. Catherine High School, a businesswoman, artiste and now a mother, D’ Angel is the epitome of a true Caribbean woman – focused on fulfilling her life’s dream of becoming one of the top dancehall artistes on the world stage. D Angel continues to break down barriers and is a role model to numerous young women. She drifted from her musical pursuits and entered the world of glitz, glamour and couture when she took on a modeling career in the early 90’s. Strutting runways and landing alluring photo shoots for brands such as Rocawear only prepared her for the bigger spotlight that she would later receive in the music fraternity. D’Angel felt like something vital was missing from her life despite her modeling career and a fashion boutique ‘in the bag’; it was her ultimate love and dream for Music. Her break-out single ‘Downtown Girl Livin Uptown’.. in 2005, danced its way to number one on several local charts under the banner of Champagne International Records. In 2006, D’Angel dominated local and international media with her celebrity marriage to Dancehall Mogul Beenie Man and both collaborated on the hit single: ‘One Man’, which could be heard on all local radio stations, car stereos and dancehall sessions. She released several singles including; ‘Woman Power’ that petitioned the strength of a woman and implored society to give women the respect and opportunities that they deserve. D’Angel then teamed up with dancehall lyricist Vybz Kartel on ‘Baby Father’, another major hit which became a huge dancehall anthem for the women. D Angel took her vivacity and energy to various stage shows locally and internationally. Despite the media hyped personal problems in mid 2007, D’Angel was able to reaffirm her place as a dancehall diva after the release of her hit single ‘Blaze’ (Up and Live Riddim) produced by Arif Cooper for Fresh Ear Productions and the groundbreaking video which quickly rose to the top spot on all the video charts of all the local cable stations and was in heavy rotation on radio as well. In early 2008, with the propelling success from Blaze, D’Angel boosted her presence in the music fraternity locally and internationally as she was a performer at the 27th IRAWMA Awards in New York and a nominee for Best Female Deejay. In addition to a plethora of singles claiming heavy rotation on the local airwaves including the singles: ‘Caan Stall’ featuring Vybz Kartel, ‘Lucky Charm’, ‘Whisper, and the mega hit single “Stronger”, which went Number One on all major charts in Jamaica and was steady as one of the Top Five songs on the New York and Florida Top 30 Singles Charts. The video for ‘Stronger’stopped short of Number One status on all the video charts as well and easily became a household song that appeals to women who have been through relationship problems similar to hers. Armed with all the success from her single ‘Stronger’, D’Angel has added several accolades to her portfolio in latter parts of 2008 most of which includes; granted a Business Management scholarship from Caribbean Institute of Business; one of the most requested artiste on RE-TV’s School Tour. D Angel continues to display that confidence and hard work will pay-off as she have been a member of the major schools and community tours namely; Coca-Cola, RE-TV and recently Irie FM Road Show. She represents Jamaica as an ambassador when she performs on major shows overseas and boasts proudly to be amongst the line up of other major shows here in Jamaica especially the prestigious Reggae Sumfest for two consecutive years. 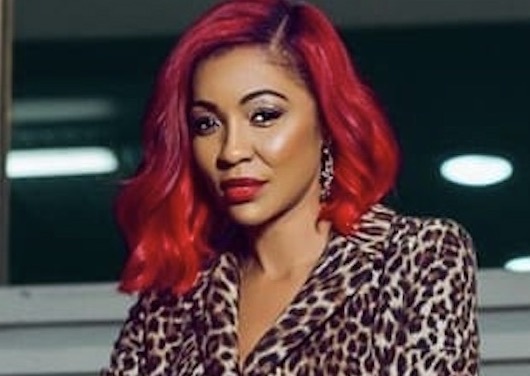 In early 2019, she overcame controversy with ‘Nuh Worry About Them’ to quell a feud with former collaborator, Spice.